New Britain Herald - Rain stays away from New Britain's Main Street U.S.A. 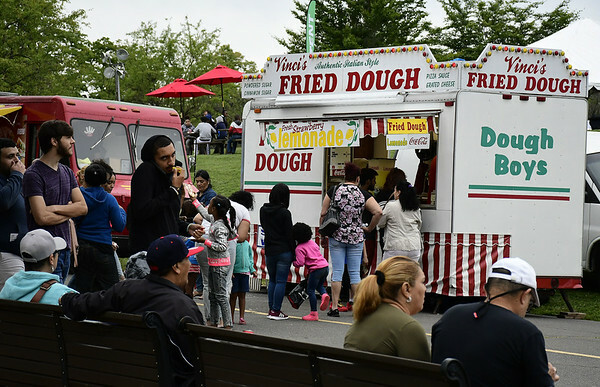 Rain stays away from New Britain's Main Street U.S.A.
NEW BRITAIN - It was a celebration of everything New Britain on Saturday as hundreds packed Walnut Hill Park for the city’s Main Street U.S.A. celebration. An overcast sky didn’t keep people away and the cool air provided a stark - and refreshing - contrast to the recent heat and humidity. 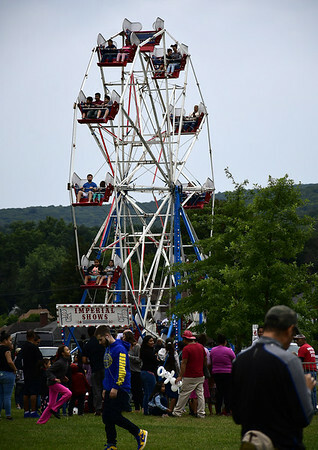 For about eight hours, New Britain residents and visitors to the city enjoyed a day in the park, with a variety of activities for old and young. Beloin-Saavedra, who is running for the 24th District seat in the General Assembly, was at the event with Tremell Collins, a candidate in the 26th District. “We’ve been speaking to a lot of people, not just about the race but about this great event,” Collins said. A beer and wine garden quenched adult thirsts throughout the day, and craft and vendor booths gave visitors plenty to check out while walking around. Local restaurants Mofongo and Criollisimo were on hand as well, serving their authentic Puerto Rican food. Helicopter rides, a popular attraction last year, were back to give riders an aerial tour of the city. “It’s pretty great to get up there and see the city from a different vantage point,” resident John Board said shortly after getting off the helicopter. For the younger crowd, a rides and other amusement were set up in the Kids Zone. 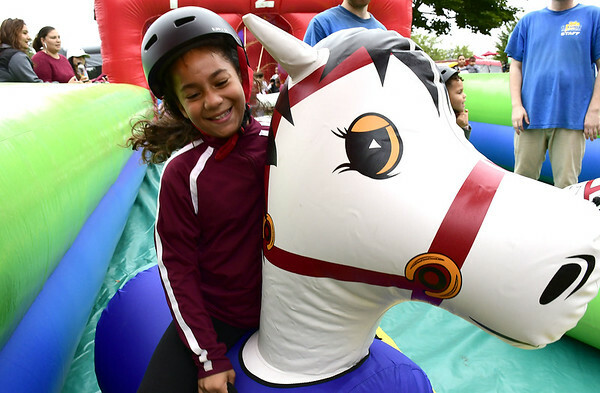 The area included inflatable moon bounces, a corn maze, a climbing wall, a Ferris wheel, a 100-foot slide and a carousel. 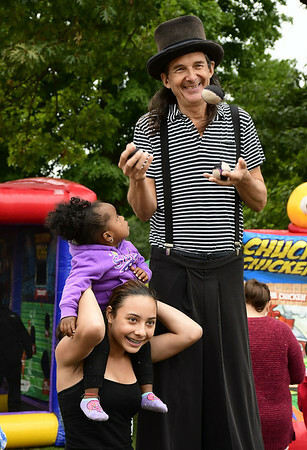 Several walk-around performers, including the Amazing Andy, entertained visitors. Music was pumping through the area pretty much all day with performances on three stages. A fireworks show brought the night to a close. Before the fireworks, resident Curley Jones performed the live debut of his new jingle for the city. Last week, Jones was named the winner of the city’s jingle contest. The tune will be used to promote the city in its “Experience the New” marketing campaign. This was the fourth Main Street U.S.A. held since Mayor Erin Stewart brought it back in 2015 after a 15-year hiatus. Stewart has said she hopes the event will return to Main Street and Central Park once the city’s streetscape projects downtown finish. Posted in New Britain Herald, , New Britain on Sunday, 9 September 2018 21:37. Updated: Sunday, 9 September 2018 21:39.